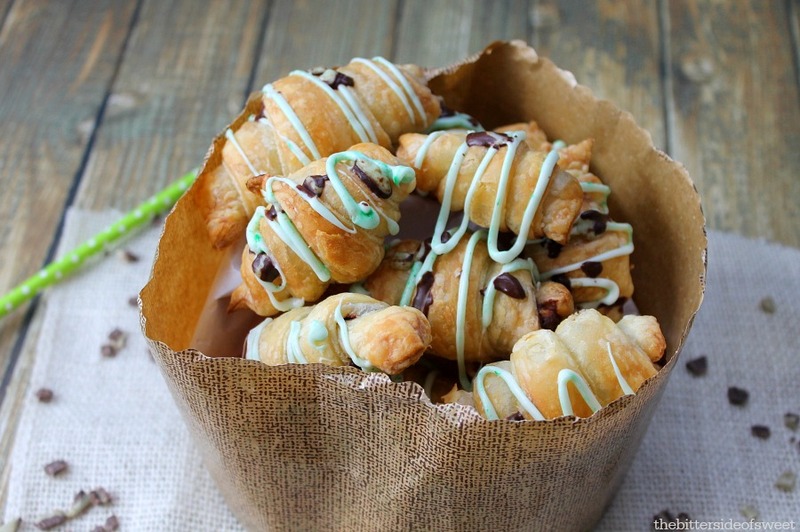 Irresistible Mint Chocolate Chip Croissants are the ultimate breakfast treat! Hi all! This is Nancy from The Bitter Side of Sweet. 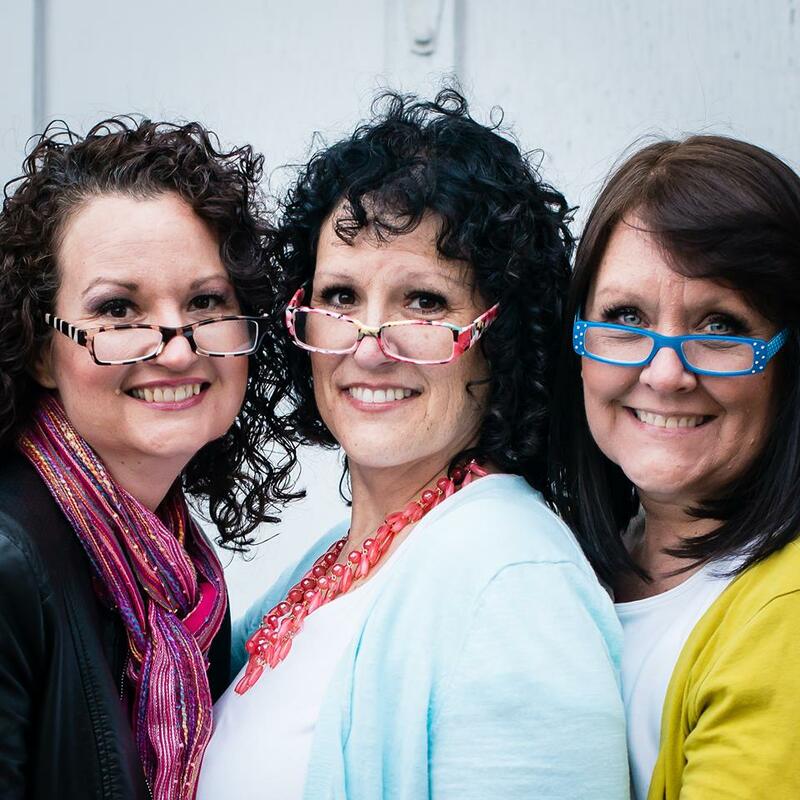 I am so excited to be here this year with you contributing to Made From Pinterest! I have been having lots of fun traveling around the site to see what you guys really love such as these Chocolate Toffee Squares or these Easy to Make Breakfast Sandwiches. To know a little bit about what I blog about you have to know this. I am all about the easy. Easy desserts, easy dinners, easy foods! We are a family of 6 and I don’t have a lot of time so when I am in the kitchen I love quick to make and satisfying treats! Take these croissants. I had these done in about 30 minutes! 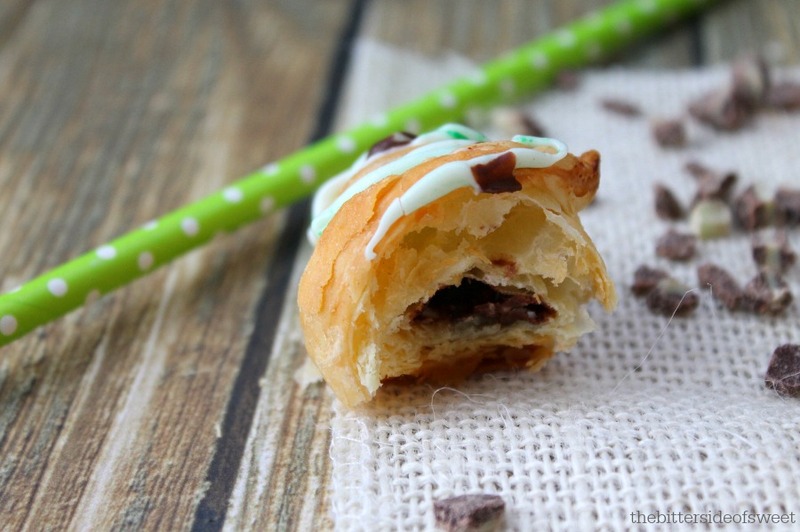 I always have puff pastry on hand because I am obsessed with it. So what I did was I pulled it out of the freezer and let it soften up a bit. I rolled the dough out and cut them into long triangles. 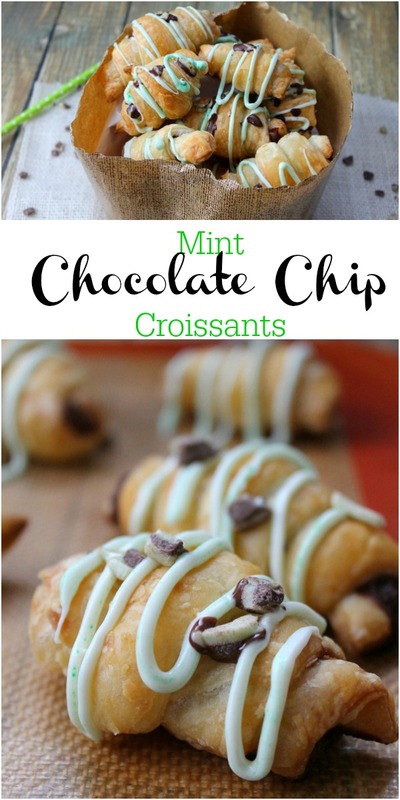 Then I added some mint chocolate baking chips, rolled them and they were ready to go! It was that easy! I spent more time waiting around for them to finish cooking then actually preparing them! Preheat oven to 350 degrees. Line baking sheet with parchment paper. Roll out puff pastry and cut into 10 long rectangles. 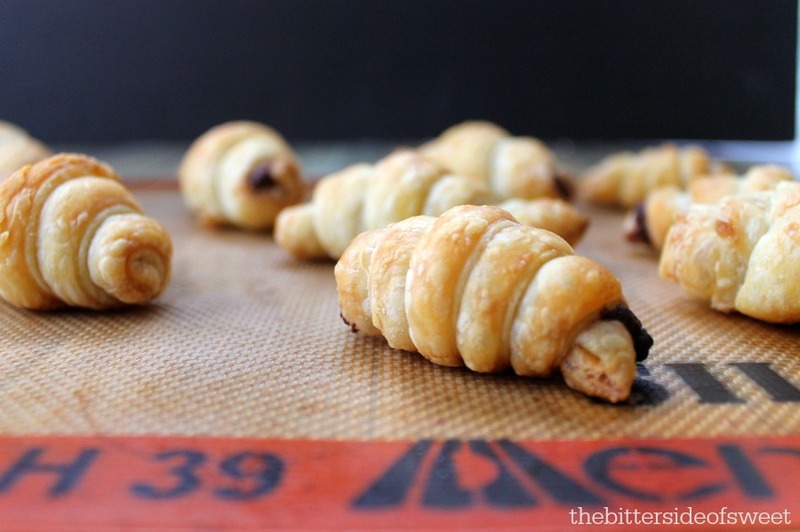 Roll each croissant from the wide end to the short end. Place on baking and brush with butter. Melt almond bark in microwave for 30 seconds. Stir till smooth. 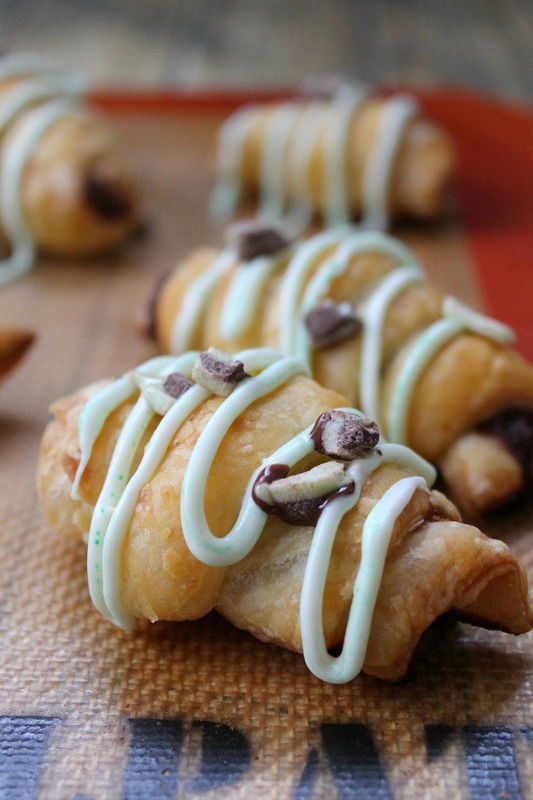 In piping bag brush the inside with 1 drop of green food coloring. Pipe onto each croissant and allow to cool completely.